You actually make it appear really easy together with your presentation but I in finding this matter to be actually one thing which I think I’d by no means understand. It sort of feels too complicated and extremely vast for me. I am having a look forward on your next post, I will try to get the cling of it! Reblogged this on The Lighthearted Calvinist. 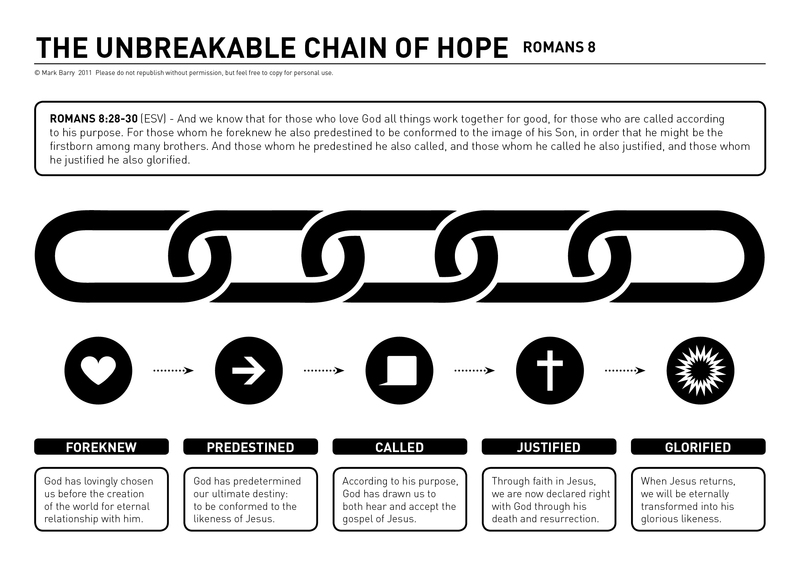 Nice chart, but what about the process of sanctification? or more so our growth in the Lord? Thanks Nik, but you may have to take up that question with the Apostle Paul. I was simply working with the ‘ordo salutis’ (order of salvation) from the text of Romans 8.